Throughout the past five years, Nnova has been slowly building up his name in the Canadian hip hop scene. Originally from Belgium and France, Nnova has set his sights on conquering the Canadian hip hop scene and with various releases planned over the course of the next year with Funktasy, he is fastly becoming one of the label’s most prolific artists. 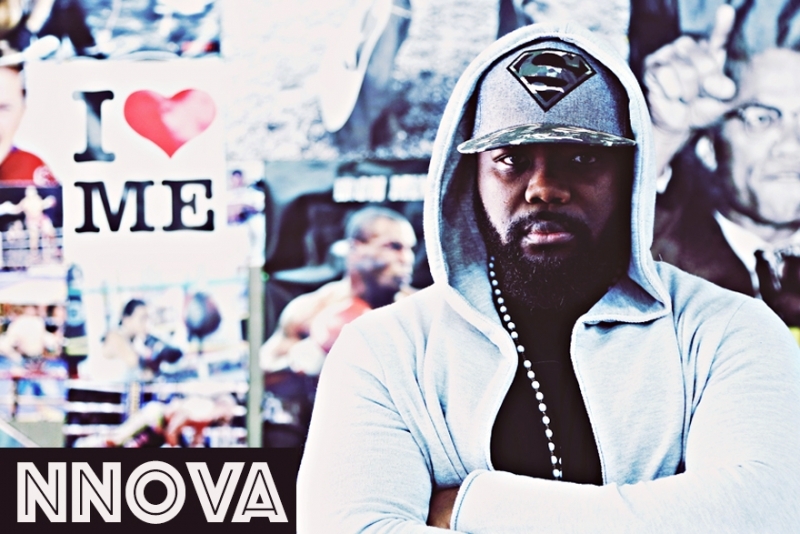 For this interview, we sat down with Nnova ahead of his upcoming single releases ‘Papa Est Back’ and ‘Hate on Me’ to discuss his start in hip hop, what motivates him, and how he feels about the current Canadian hip hop music scene. What inspired you to get into hip hop? Well I don’t really like to say that I am doing hip hop. I see myself as a musician first and foremost. I rap. I sing. I write for me and other artists in a number of genres. I don’t see myself purely as a hip hop musician but just as a musician. To answer your question though, it all started with a CD that my brother brought to me one day. Within two days, we knew all the words. The rest is history. That’s inspiration. You originally started your career in Belgium and France. Have you noticed any difference between the European audience compared to the Canadian audience? Yes of course. In Europe, you really have an audience for hip hop – radio stations, TV channels, etc. It’s big business there. You have no idea. It’s sad that we don’t have the same interest here in Canada. It’s hard to blame the TV and radio stations only though. The rappers from Montreal are not helping their case. I mean, most of them are not ‘professional rappers’. If they wanna rap for their friends, ok, good. But if they want to get big or have a chance in a bigger market, the rappers and the scene itself has to grow up a little. What do you think is the biggest challenge that underground hip hop artists today face? It’s image. We need to change our image. People who don’t listen to hip hop see us as ‘gangsters’. They don’t believe that guys from the ghetto are mature enough to overcome that stereotype. We need to change that. What message are you looking to communicate with your music? You know I don’t really have any one message. Making music comes from the heart so whatever I want to sing about – cars, food, sports – if I want to do it, I’ll do it. I am rapping about what I feel and see around me. It’s the feelings in the music that is the best way to understand that. Who do you like in hip hop right now/who inspires you in hip hop? On the English side, I’ll say Fat Joe, Jay Z, Drake, and one of the best to me is Joel Ortiz. On the French side, there’s Youssoupha, Booba, Kerry James SP, and a few more. I am more of an old school guy. How is your new album coming along and what are your thoughts on it? I am really proud of it. I put my heart in it. It’s a really personal album. I had a lot that I wanted to say and a lot to prove. That’s what I did and I promise you it’s gonna be way different from what you’re used to hearing from Montreal rap. There’s some American influence on it, some European, but it’s a very unique and accurate representation of me. Definitely check it out. What is your approach to performing live? People are paying their money to be amazed. They wanna have fun. Some of them are having a bad day, some of them are having a good day, but they all have one thing in common – they paid their money and they wanna have a good time. I approach every show as if it’s my last and I give it everything I got to give. You got to give it all away. What are your hopes for this upcoming record? You know what. It’s something different from what we’re used to seeing. I hope people give it a chance. For the ‘Papa Est Back’ video, what inspired you to put on the boxing gloves for your new video and get in the ring? Who came up with the concept? Amir Hoss came up with the concept. If you listen to what’s being said in the song, it’s a fight and it’s a fight against all so to do a video in a boxing ring really brings that out. That fight is really what the song is about and it’s really what I feel. It’s an eternal fight. You got to get in the ring and prove that you’re the best. How do you define ‘success’ as a musician? I ain’t gonna lie. Money is a part of it. If I can live my life with music paying the bills, that’s a part of it. The best success though is seeing people singing your songs, knowing the words – that’s the ultimate success for me. Is there anything in particular that has inspired your new album? What songs are you excited about? Hard question right there. I like all of them. I am the kind of person who is always excited when he goes into the studio to record. Every song I do has got to be the best song I’ve ever made. I think that’s reflected on the record. If you had to spin for someone one song right now from another artist that has inspired you or that is one of your favourites, what song would you choose? Might surprise you but I’ll say Ed Sheeran. Like I said, I don’t only listen to hip hop. This guy is a genius. I like the way he writes, his melodies, etc. Ed Sheeran definitely. Nnova’s single ‘Papa Est Back’ is available worldwide on iTunes, Google Play and Beatport via via Funktasy.